Supply and Demand are often described as the ultimate game in town. The proponents of this concept are right - particularly when it comes to the vegetables side of the fresh produce equation. Achieving an equilibrium between what is available and what is needed or wanted is the ultimate goal of a sustainable and balanced economy. The more basic and the more perishable a product is, the more vulnerable it is to massive price fluctuations when supply and demand are not balanced. It does not get much more basic or perishable than vegetables. Think lettuce, tomatoes, cabbage and celery and you know what I am talking about. Vegetables are not manufactured, they are grown. The growing process is exposed to the climatic elements, regardless of whether the produce is grown in the ground or in a glasshouse. 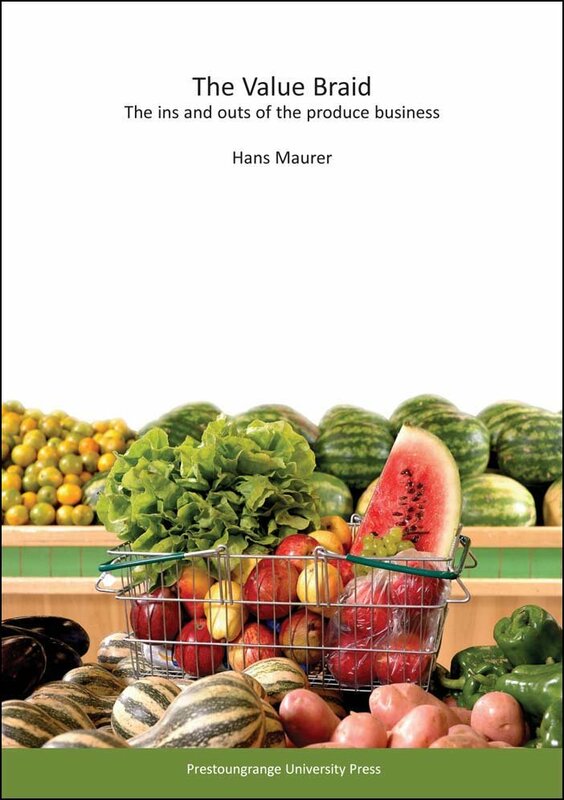 The volume a grower produces, the supply, may have some relationship to the overall demand but until the produce is harvested, packed and shipped, the grower cannot guarantee that the produce will actually get to the consumer. When there is an oversupply, when too much produce is grown, prices will drop. If not enough produce is grown, the price will rise as unfulfilled demands leads buyers to increase their price offer. How much produce is needed? When does the balance get disturbed? What are the tolerance levels at both the supply and the demand end of the equation? Who decides the right balance between Supply and Demand? You could also ask - how long is a piece of string? Growers can individually, and collectively, say how much produce is grown, how much is harvested and how much is shipped. Whether that equates to how much produce is needed will not be known until a price is set for that produce. Growers typically do know what it has cost them to grow the produce and get it to their customer, but there is no guarantee that the customer will pay the grower a price that reflects the cost of production and getting it to market as well as a margin to cover profit and return on investment. The price paid depends on how much volume of produce available at the time the buyer aims to buy to meet his perceived demand - 'perceived' being the operative word here. A supermarket produce buyer looking to fill an order does not have firm consumer orders in his pockets. He works from a combination of history and assumption, trying to balance what he know about last season's, last week's or yesterday's sale with what he believes will happen in a similar future time frame. Technology being what it is, some buyers develop quite sophisticated predictive models, but at the end of the day setting a price for produce comes down to making a human value judgement based on historic knowledge and skillful assumption which hopefully cover all conceivable possible angles. The only sensible answer to the question of how much produce is needed is - whatever volume is able to be sold at a steady demand whilst growers are getting paid sufficient a price that covers their cost of production and marketing, generates an income and provides a return on investment in growing, as opposed to leaving their money in the bank to earn interest. That's easy. The balance gets disturbed when growers and buyers stop talking and listening to each other, when either party worries too much about the other party's job instead of their own, when there is a distinct lack of knowledge of how the system works, when assumptions made lack the required dose of reality,and when an "I know best" attitude is not underpinned by a solid and robust level of knowledge and experience. What are the acceptable margin of error levels at both the supply and the demand end of the equation? The acceptable margin of error is dependent upon the type of crop, the time of year and the channel the produce takes to reach the consumer. An oversupply of lettuce can easily be rectified the next day. Growers simply cut less. At the other extreme is an oversupply of bananas. As these travel a fair distance and the next boat might already be on the water when a buyer wants to make an adjustment to volumes, whatever situation was created will take several weeks to straighten out. At a cost. The more storable a crop is, the higher the margin of error tolerance. If the market is flooded with onions this week, I can hold back. A crop of lettuce, already cut, packed and in the packhouse cooler will need to be shifted pronto without micro-economical theorist input! And that is the $64,000 question. The short answer - not one single person. There is a reason why we are talking about Supply and Demand. Here is why. Supply and Demand are not static fixtures but variable expressions of production outcomes and subjective needs analysis. Supply and Demand is not a science but it obviously requires some thought. I suggest the starting point should be a healthy dose of common sense.